The research activities in the wine sector and the management skills needed for the competitive development of wine companies require, now more than ever, an international approach. 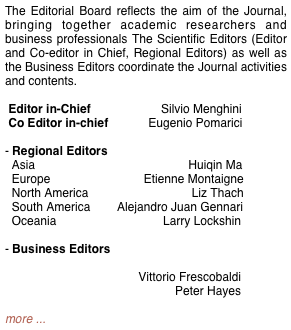 The mission of the Journal is to provide an environment for academic researchers and business professionals around the world to work together in the fields of wine economics and policy in order to deal with the current and future issues of the wine sector. Substantial overview or complete report on original research). 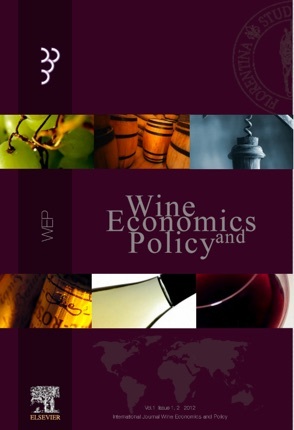 This section focuses on in-depth discussion about methodological and theoretical aspects of wine economics and policy through scientific researches and case studies. Entrepreneurs, top managers and other qualified public and private stakeholders are invited to supply their direct insight into the major issues of the wine industry in order to draft a helpful agenda for the researchers and the scientific community. This section aims at enhancing the service content of the journal, supplying up to date information on the dynamics of scientific debate and on the main trends in the wine market. The contents of this section include short reports, announcements of research and commentaries. critical discussion of a book’s contents.